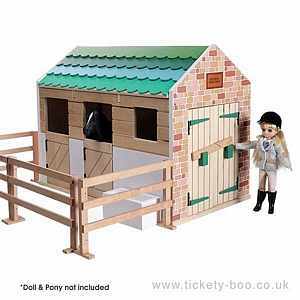 Wonderful real wood stables featuring a removable roof for easy access. 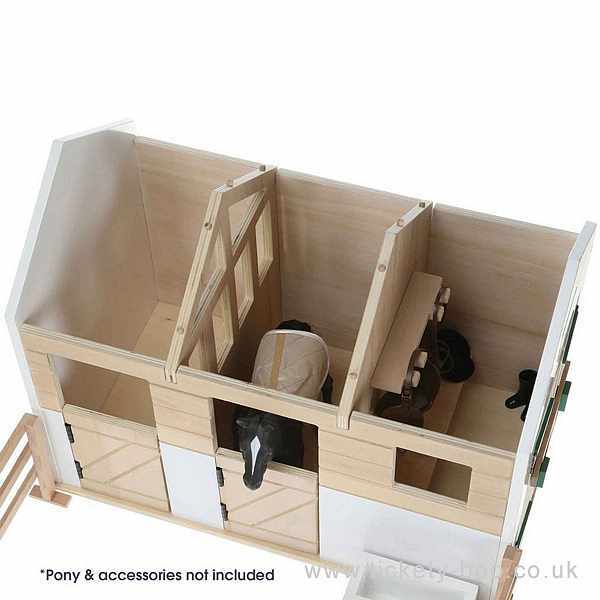 The side double doors open to the tack room, and the 2 stable doors open onto the fenced in area. 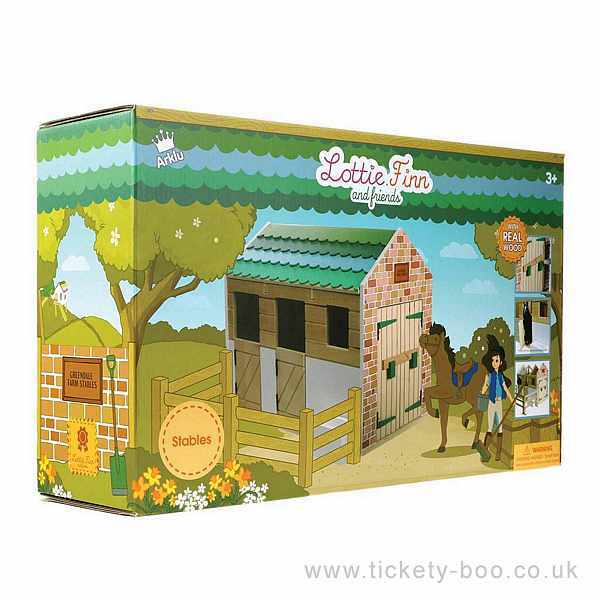 There's always lots to do down at the stables on Greendale Farm. Grooming the ponies is such a lovely job that it doesn't really feel like work. And the ponies seem to enjoy it as much as we do. Mucking out the stalls can be really hard work but there's usually a treat for us when we've finished: a fantastic walk along the beautiful beach with our ponies!